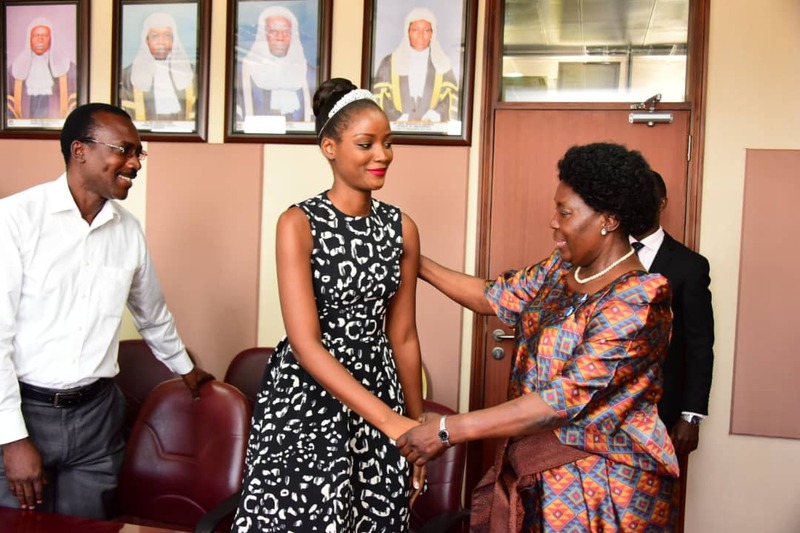 PARLIAMENT – Members of Parliament have Wednesday January 23 asked government to support projects of Miss World Africa Quiin Abenakyo. Abenakyo, who was crowned Miss World Africa at the Miss World Finale, in the southern tropical Chinese province of Hainan, last year, has embarked on an aggressive campaign to support girls who drop out of school as a result of pregnancies and child marriages. On Wednesday Parliament saluted to Abenakyo, who was the fourth runner up at Miss World. Abenakyo sat in the Gallery alongside her parents and officials from the Miss Uganda and Miss World franchise. MPs asked the government to come up with a project to have Abenakyo contracted as a tourism consultant since government uses billions of shillings in form of Advertisement. Speaker of Parliament Rebecca Kadaga gave the Ministry of tourism and Public service two weeks to come up with a detailed plan on how Abenakyo can be included in the promotion of Uganda and her image abroad. The Minister of State of Tourism, Godfrey Kiwanda explained that government will facilitate all Abenakyo’s travel and administration for Miss world activities. He, however, emphasized that he will first consult on how Abenakyo can be formally employed by the Government. Mps also lauded Abenakyo for making Ugandans proud.